As part of a team that includes some of the world’s leading technology companies, engineers, urban designers and demographers, we have been working on a project to re-envision an innovative, sustainable and connected series of future cities to accommodate Australia’s inevitable growth. The ‘CLARA project’ is the creation of eight new ‘smart’ cities along a high-speed rail line between Sydney and Melbourne. Heralded as the way of the future, smart cities are about putting people first by creating spaces that function more efficiently, are more responsive to community members and, ultimately create better, more equitable urban environments where people can thrive. This project has us thinking, if a city the size of Canberra was to be designed and built today, what would it look like? And, importantly, what would the shopping centre look like and where would it sit within these future cities? We know smart cities need to be self-sustaining, offer an integrated community and have environmental and economic benefits. So, how will shopping centres need to address these needs to remain relevant? The most successful smart cities will optimise space for multiple uses and activate public places for greater periods of time. Flexible spaces are therefore key to continually change and adapt. To achieve this, inspiration can be taken from market places and good sheds style spaces, such as South Melbourne and Queen Victoria Markets. These physical market places are not limited by the restrictions of bricks and mortar and have the ability to constantly offer new things that encourages people to keep coming back. 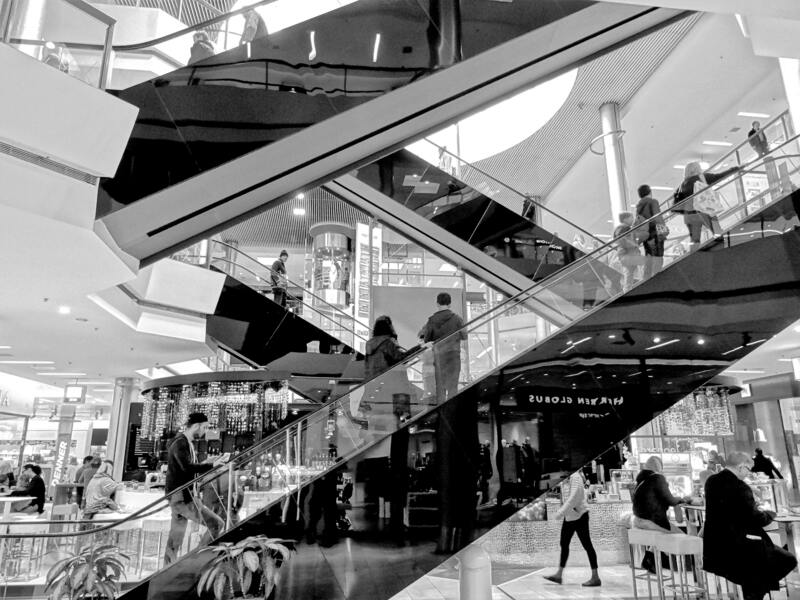 By looking to introduce smaller tenants with less defined shop spaces and shop fronts, shopping centres will allow tenants to scale up and down easily depending on seasonality and offerings. The fixtures and features can also be adapted depending on the required usage of the space – allowing for flexibility and space optimisation. Like online retail, this ever-changing physical store will bring back shoppers, allowing for shopping centres to keep up with their online counterparts. Globally, there is evidence this physical retail evolution is underway. In London, for example, its luxury department store Browns recently opened Browns East, which offers augmented experiences, no fixed rails and a design that transforms every two to three weeks. Offline experiences are a vital part of the customer journey. If shopping centres are able to adapt, be flexible and offer a similar level of variety and convenience to that of online retailers, they will continue to remain relevant in the smart cities of the future. 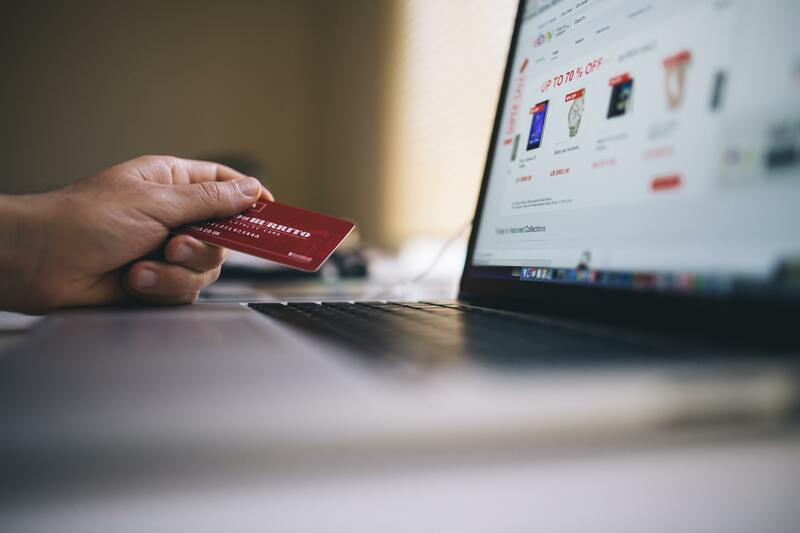 E-commerce stores offer that desired level of convenience, while physical stores provide people with the tactile experience of the brand, allowing visitors to touch and feel the products before purchasing them. To be truly ‘smart’, shopping centres will have to meet both of these ‘needs’. One way to embrace this is ‘showrooming’ – a store that holds limited stock and simply displays products, with orders taken through online hubs and then shipped direct to the customer. This concept would allow for smaller stores and precincts, together with greater flexibility. Showrooming needs design-thinking – where spaces are designed and created to offer the ‘showroom’ and online convenience all in one. A great example of this is Nordstrom in America, which opened Nordstrom Local, a 290 square metre store (compared with the usual 13,000 square-metre of a Nordstrom store) which doesn’t carry any inventory at all. This is a space where shoppers can try on clothes but will not purchase them physically on site. Instead, they’ll buy online and treat themselves to a wine, beer, espresso or cold-pressed juice in the space as they pay – this also allows customers to connect directly with brands. The focus here is on a different experience - no longer is it about purchasing in store but instead, the brand has adapted to provide different experiences that connect with the customer while still meeting their needs. They offer personal stylists, tailoring services and manicure appointments, all without the dedicated inventory in store. Another take on this model is Amazon Go, which weaves advanced AI and computer learning into the fabric of a physical store to eliminate the need for check outs and staff, providing a quick, easy and seamless shopping experience for visitors. Did you know, 20 per cent of people now work in three or more locations every week? And, this percentage is growing. Retailers need to capitalise on this trend by blurring the boundaries between public and private space even further by ensuring that shopping centres are about much more than stores – they need to see a mix of tenant and public space within them. These mixed-use developments will also be key to allow for compact smart cities – where everything inhabitants need is within a few minutes of their doorstep. While there is already a big shift towards mixed-use precincts that attract visitors for different reasons beyond pure retail – such as those that incorporate entertainment facilities, gyms and restaurants, a shopping centre could further incorporate features to accommodate for this emerging societal need by creating accessible, rentable presentation areas and boardrooms, co-working office spaces, libraries and so on. Other commercial real estate opportunities could also add alternative revenue streams as well as attractive facilities for consumers, such as hotels and residential apartments. These types of shopping centres will offer visitors an attractive, integrated community in which to live, work and shop, as well as generate additional traffic for the retail outlets while maximizing returns on invested capital. Old cities are famous for their ‘people-focused spaces’, particularly in European cities such as Barcelona and Rome and they play an essential role in enhancing the quality of urban life, with the openness often making them the centre of city events and social nodes. They offer breathing space amid buildings and function as sociable places where people are comfortable to sit, ‘hang out’ and relax in a public realm. When the shopping centre was invented, a central square known as the centre court was incorporated, but its function was more a navigational reference point than a centre of activity. Although already evident in many successful malls and retail precincts, the ‘city square’ concept could be integrated further into the shopping centre space, creating several open areas or ‘squares’ where people can come together, interact and connect, building a place where people can gravitate to and be part of a larger community. We have seen the open space concept evolving more locally on a smaller scale. At Kingston Shopping Centre, for example, ClarkeHopkinsClarke reimagined a big outdoor, advertising screen to create a new space for people to congregate for events and special occasions – much like spaces such as Federation Square do. While the digital economy may have lured people away from the traditional shopping centre, technology is now being used to bring them back. We all know, smart cities need to be ‘smart’, embracing all levels of AI and tech to create more sustainable and efficient urban spaces. So, what does this mean for shopping centres? While most shopping centres now offer Wi-Fi and information touch screens, and geofences are becoming increasingly common, their tech offerings will no doubt develop further, with AI in particular having a growing role. Examples of AI already emerging include parking sensors installed in shopping centres to monitor traffic levels and direct shoppers to available spaces to make parking easier and faster for visitors. Cashless payments and staff-free stores are also on the horizon. From spaces like Amazon Go, as mentioned above, and the humanoid robots (as trialled in Japan), to the potential of driverless cars (to eliminate shopping centre car parks all together) and clever technology that can identify who visitors are so to offer an even more personalised shopping experience and create new connections. The first shopping centre was designed more than 60 years ago as ‘silo’ developments on the edge of traditional towns, surrounded by seas of cars. Visiting shopping centres were seen as a weekday chore; today, they are places people want to be. They are fun places for families on the weekends or friends to ‘hang out’. They have movie theatres, gyms, arcades, and offer so much more than just shopping. The smart city concept has the ability to bring this to life even further, by reimagining spaces where communities connect, as well as using tech to support human connection rather than alienate it. In the cities of the future, shopping centres have the opportunity to become an even more central part of a community. Through the best learnings from the smart city movement, old city methodology and urban evolutions across the globe, shopping centres can grow further into social hubs, bringing people together and creating vibrant communities.